Here are a selection of websites we have recently designed for our clients. They come from a wide range of industries and include the very small (sole traders) to the very big (large organisations). We’d love to help on your next project! 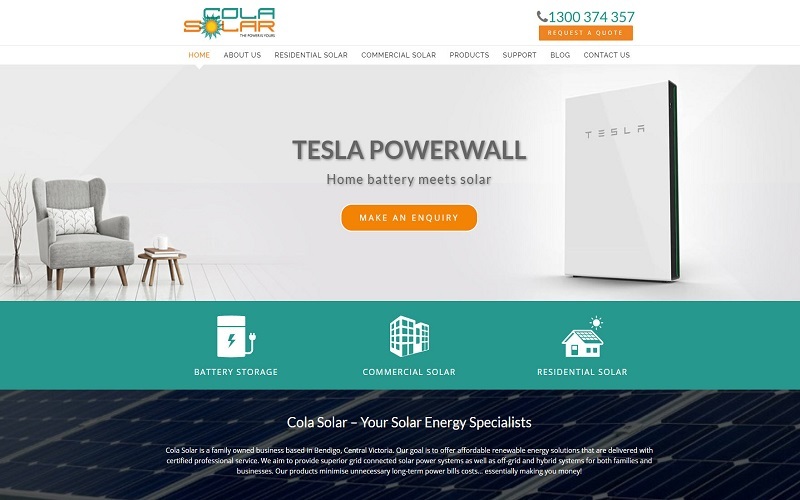 Cola Solar have been a valued client for many years and were looking to take their website to the next level. Their site is a major sales too in their marketing strategy so it was important the company’s online presence reflects their brand and creates an exciting customer experience. Features of the new site include a portfolio of commercial solar projects and a clear easy to use quote form. Carl from My Bathroom engaged our services last year to perform search engine optimisation and help increase his online presence in search. To assist with this, we recommended redeveloping his website to make it more search-engine friendly and deliver a better user experience. 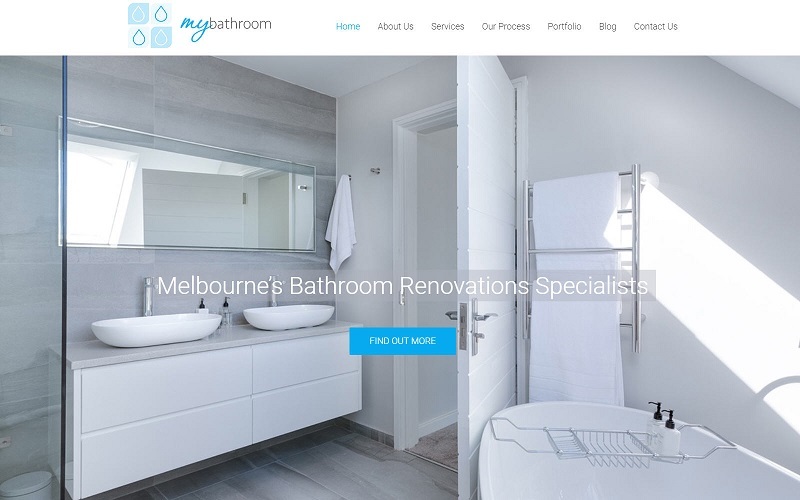 His bathroom and kitchen renovation company now has a website that is clear, professional, easy to use and with powerful calls to action to increase leads, and ultimately sales. 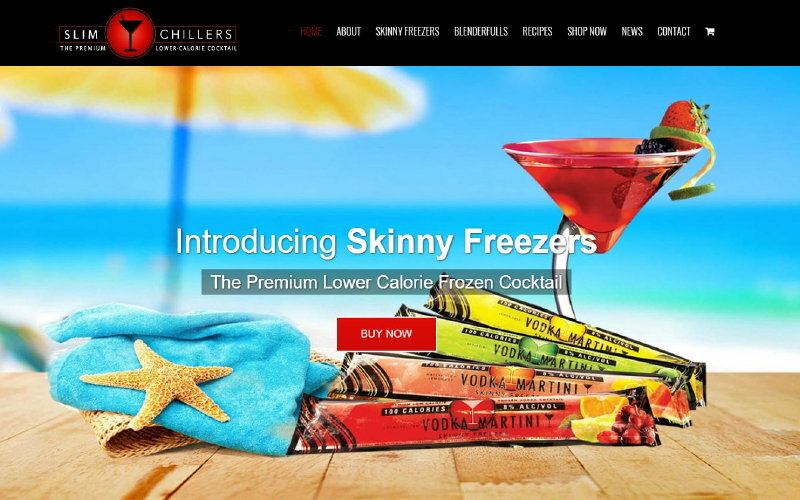 When Jonny’s Facebook post promoting his low calorie alcoholic drinks went viral, his website couldn’t handle the massive increase in demand for his product. So we worked hard over the summer break and developed him a new site. Complete with a responsive design, secure certificate and easy to use shopping cart, the new site has already processed more than 400 orders between mid January and Australia Day. 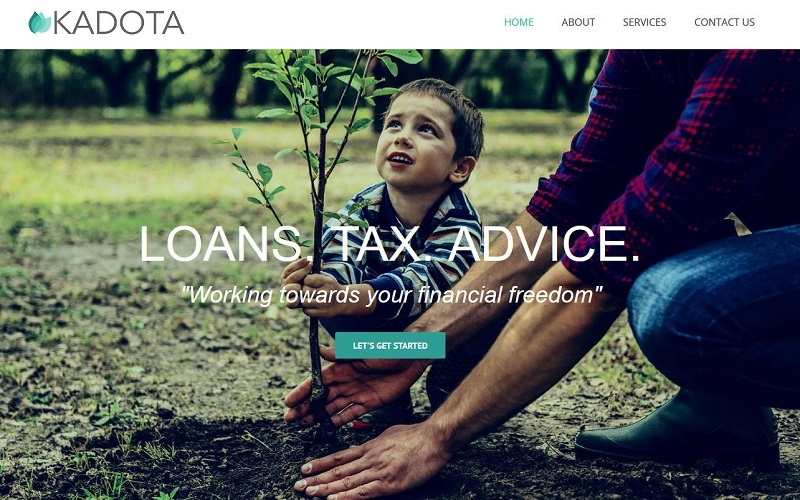 A new business with a wealth of experience, Kadota needed a website for their new brand that showcased the financial services they provide. We developed a mobile responsive website that allows their prospective customers to find out more about accounting, financial planning and home loans. When their existing web developer went AWOL a week before a big radio marketing campaign, Water Temple were left high and dry with an unfinished website on a platform that didn’t meet their needs. Luckily they reached out to us to take over the project. 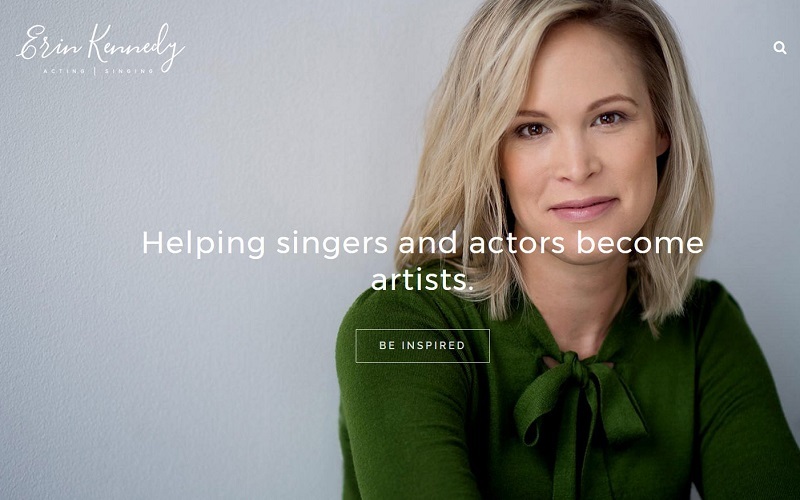 Despite the crazily optimistic 7 day deadline, we were able to build a brand new WordPress website from the ground up, and launch it in time for the radio campaign. 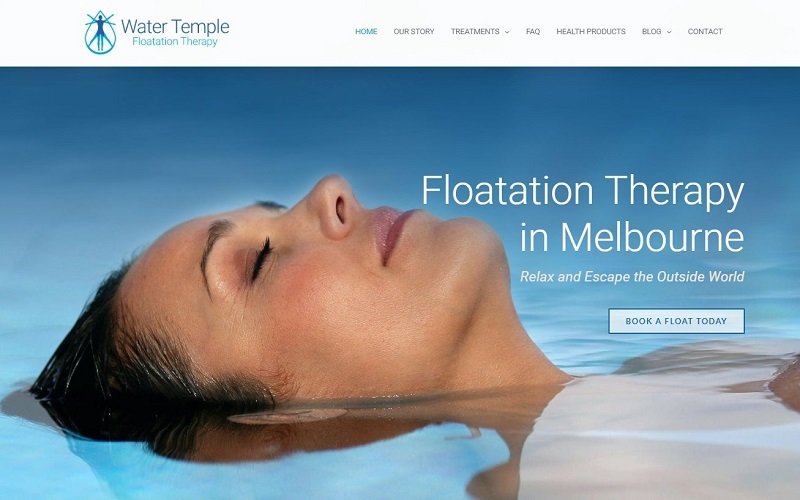 The client liked the new design so much they are now engaging our services to provide other digital marketing strategies to help grow their floatation therapy business. 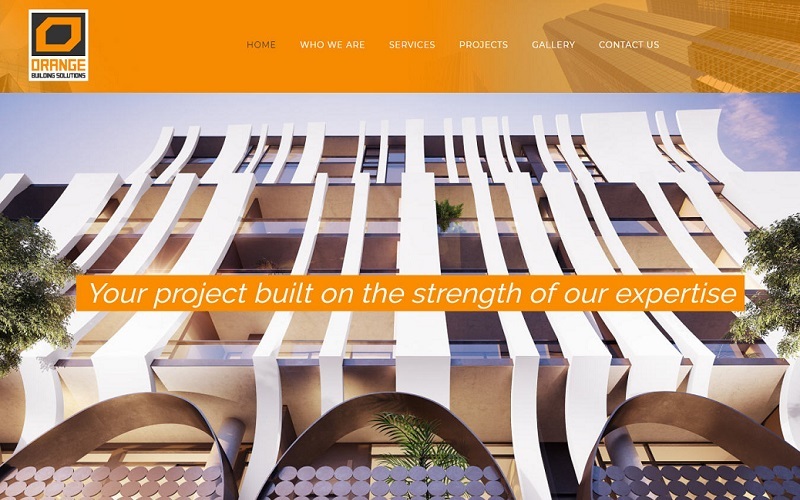 With a reputation as one of Melbourne’s leading companies in the building and property development sector, Orange Build needed a new website that accurately reflected their brand. The focal point was a new portfolio that showcased their impressive list of projects, and Temerity Digital were happy to take on the challenge. Kustom had already engaged our firm to help with a search engine optimisation campaign, and after enjoying success with their new found Google rankings, decided to overhaul their website. 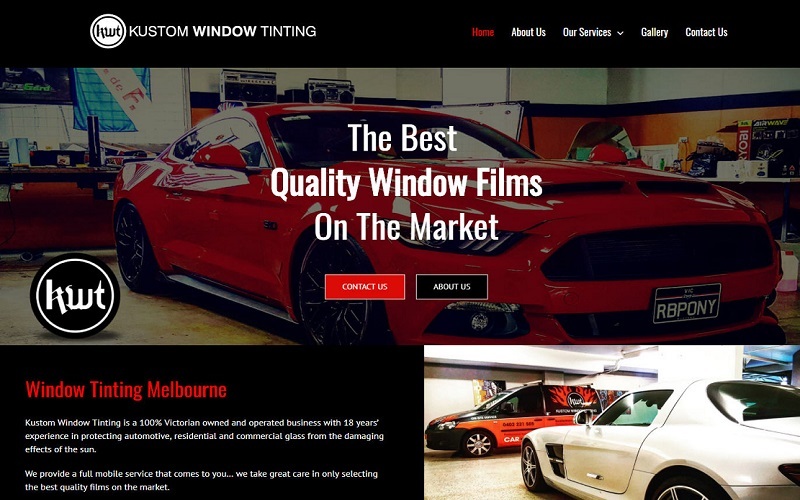 With a fresh new look that looks great on all sized devices, Kustom Window Tinting have increased their conversion rate and excited with the influx of new tint customers. 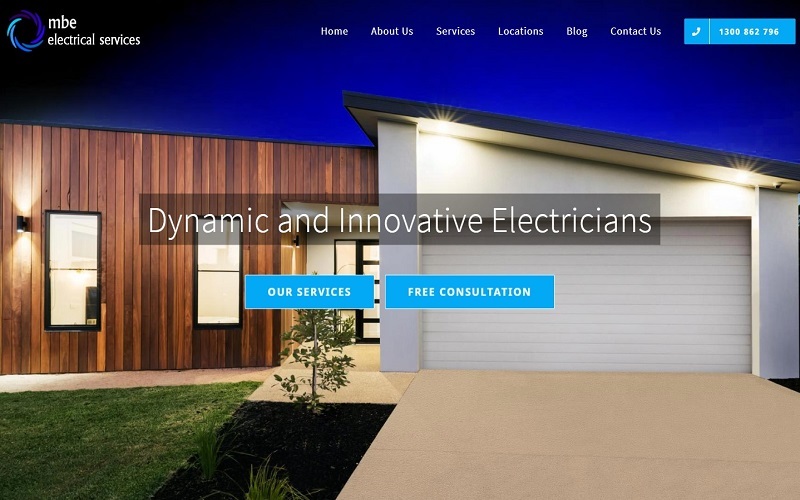 MBE is another client who undertook an SEO campaign to enhance their rankings for their Melbourne electricians business and decided to use Temerity to upgrade their website. The new mobile responsive site now gives users an easy to use modern feel and allows them to easily book an electrician. 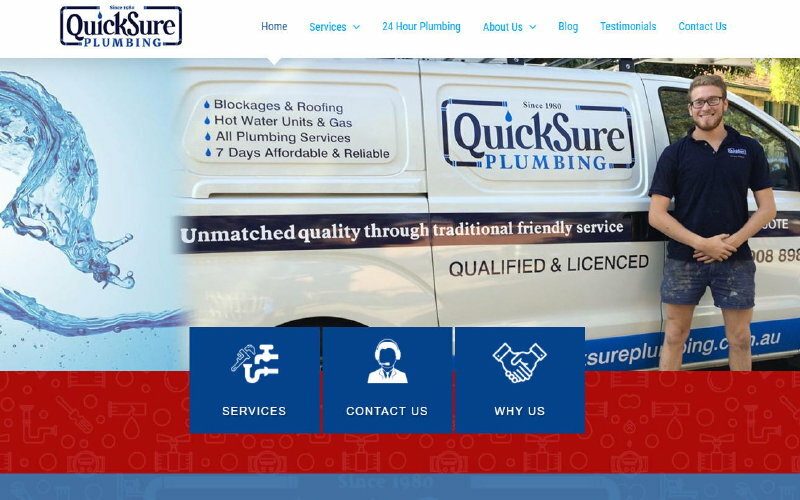 QuickSure made the move from Melbourne to Ocean Grove and in the process decided to revamp their plumbing website. We created a new look and feel to appeal to customers, and integrate nicely with the search engine campaign we were already running for the client. The UX focused on clearly showcasing QuickSure’s range of plumbing services and allowing easy contact to improve lead generation. 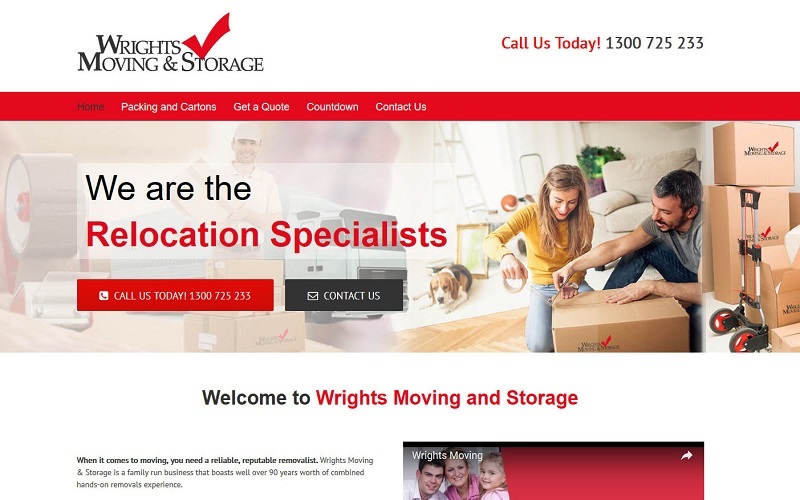 A family owned business who have been providing removalist services for decades, Wrights Moving desperately needed to upgrade their website. Our team ensured the finished product had a modern attractive feel with clear calls to action. The content management framework now allows the client to update info on the website themselves, 24-7. And the mobile responsive design ensures it looks great no matter what size the device it’s been viewed on. Erin is a professional singer who has performed worldwide in theatre productions such as Les Miserables, Mary Poppins and Hot Shoe Shuffle. So she needed a website with a similar level of professionalism, to promote her brand, and her vocal coaching business. We developed a slick, user friendly website complete with a content management system that allows Erin to update content and photos easily on a regular basis. Infection Prevention Australia plays a crucial role for health care organisations that need to provide ongoing compliance and up to date strategies to their patients. 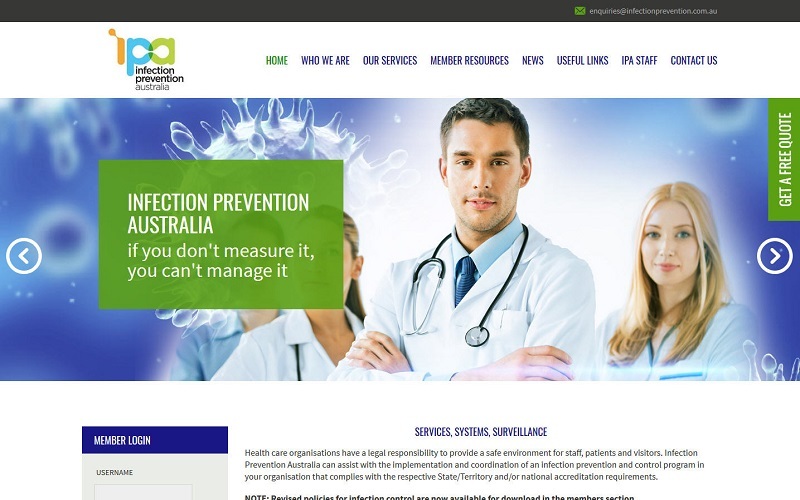 IPA offers consulting, auditing and training for infection prevention management, and requested a website with a secure membership facility to allow health care organisations to login and download the latest information and resources. ConPro has been a significant part of the waterproofing industry in Australia for nearly 50 years. Their knowledge and expertise in waterproofing is well known, and they also manufacturer and distribute premium products to thousands of contractors. 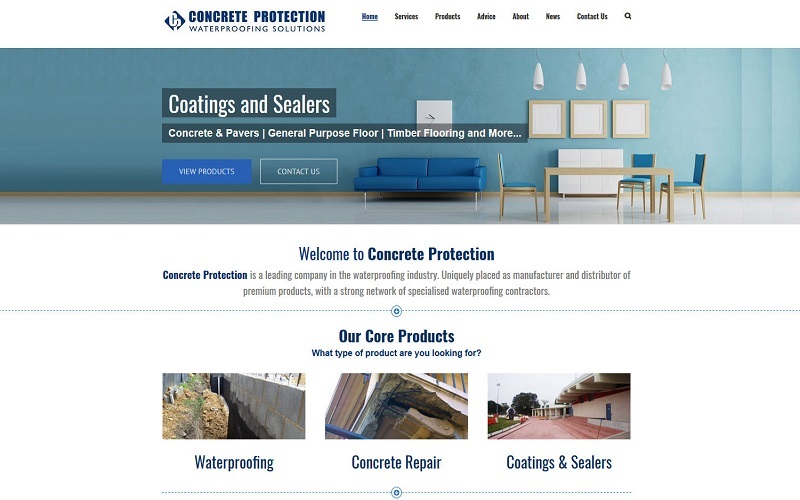 Concrete Protection needed a new website to showcase their full range of products, as well as provide a wealth of advice in numerous categories relating to waterproofing. It needed to be clear, concise, user friendly and mobile responsive. Other clients who work with our brand include Briony Croft, All About Window Tinting, Reptile Encounters, Premium Signs and Fudge Gifts.